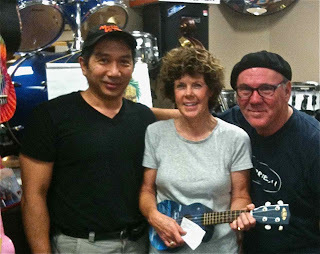 I spent last weekend on the road as part of the Kala Summer of Ukulele Love workshop tour. The tour is aptly named. That’s because I LOVE MY JOB! 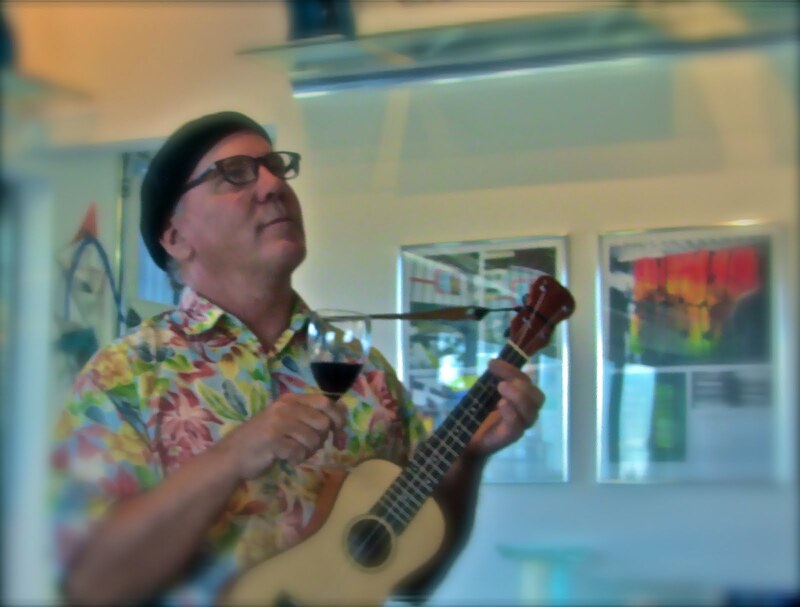 During my visits to Gryphon Stringed Instruments in Palo Alto, Music Village in San Jose and the Napa Valley Flea Jumpers ukulele club, I had some of the most amazing experiences leading people through the fog of confusion which obscures their understanding of how music works. An hour or so after my workshops at Gryphon, I received the following email. I think the reason for the current popularity of the ukulele and ukulele clubs is that people want to play music together, more than they want to sit at home and practice alone. That is why learning to hear the basic changes i.e. chord progressions that occur in music are so important. It’s a lot more fun singing and playing (even the simple songs) if folks are looking at each other and not a songbook. For me, the highlight of every Play Ukulele By Ear: Learning To Listen workshop is when everyone in the room is playing together in time, on pitch and singing unison harmony. The sound is incredible. When that moment happened at the Napa club it was magical. Club organizer Elaine de Man (who also heads up the Wine Country Ukulele Festival) told me that most of the time when their club plays together “we sound pretty awful.” Let me tell you, they sounded great on Sunday, and that was with just a little guidance away from the paper. I can’t wait to hit the road again and experience more of these fabulous musical moments!